Located in the county of Butte, Oroville is nestled along the gorgeous Feather River where it spills out of the scenic Sierra Nevada mountain range onto the flat floor of California’s Central Valley. Oroville was established to be the head of navigation along the Feather River. It served to supply the gold miners during California’s Gold Rush. Gold discovered at Bidwell Bar, one of the first gold mining locations in California, brought many prospectors here seeking to make their riches. Now under the gigantic Lake Oroville, Bidwell Bar is remembered by the Bidwell Bar Bridge. It is an original remnant from the area and also the first suspension bridge in California. It is a Historical California Monument. As the 20th century was ushered in, the Western Pacific Railroad unveiled its Feather River Canyon route. The Feather River Route proudly pushed its way through the Sierra Nevadas — no matter what kind of weather prevailed! Oroville served as a pivotal stop for the famous California Zephyr which enjoyed a 20 year run. Thirty-three years ago, this became kin to the Union Pacific Railroad. It became the Feather River Canyon Subdivision. A major highway, State Route 70, parallels the railroad through the lovely Feather River canyon. Another California Historical Landmark is The Chinese Temple. This monument signifies Oroville’s storied past. Chinese laborers as far back as the pioneer era built the Temple as a place to worship. It served to bring great comfort for followers of three major Chinese religions: Buddhism, Taoism and Confucianism. Known as the Chinese Temple and Garden, it has a major collection of artifacts. There is also a serene garden for visitors to the area to enjoy. Ishi, one of Oroville’s most famous residents, was the last of the Yahi Indians. He’s considered the last “Stone Age” Indian to venture out of the wilderness and join western civilization. When he showed up in Oroville in about 1911, he sprang into the national spotlight. Lake Oroville’s Visitor Center houses an exhibit and shows a documentary film on Ishi and his interesting and amazing life in society. The 770 feet tall Oroville Dam took seven years to complete. 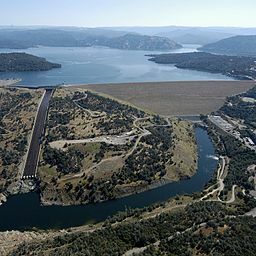 Oroville Dam supplies drinking water, electricity and irrigation for the Central and Southern California areas. Its reservoir and spillway also provides flood control for the region. It boasts a safety device to release water out of the reservoir and gets it around the dam and into the Feather River. Watch Youtube Video – Oroville Dam by the Engineering Channel (courtesy of the History Channel). It’s amazing to learn about, watch and explore the Oroville Dam — the 19th largest dam in the world. 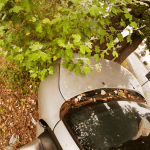 I’m Ed Smith, an Oroville personal injury lawyer. If you or a member of your family has been seriously injured in an accident, please call me at (800) 404-5400 or for free, friendly advice. I’ve been helping the residents of Oroville with their personal injury cases for over three decades. Look up customer reviews on: Yelp, Avvo, and Google. Visit my Past Verdicts and Settlements page.